a diverse mix of plants to the Retail and Landscape Industries. Based in Charlotte, NC, we supply customers in the Southeast and Mid-Atlantic regions. Call about our beautiful selection of seasonal plants. 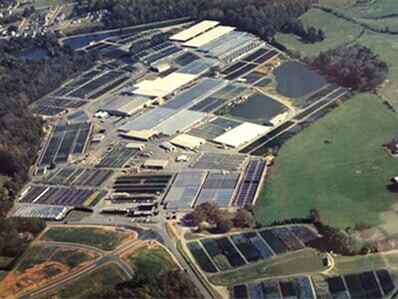 Baucom’s Nursery has been in operation for nearly 70 years. Founded in 1947 by Amon Baucom, we are now led by 2nd and 3rd generation family members along with a talented and dedicated staff of management. Every season we grow plant selections based on retail demand. Check to see what’s available now. We offer a great benefits package to eligible employees, including vacation, insurance and 401K. We love our customers. We ask that you complete a credit application to get started. We are proud of the branded plant products we have in retail and home improvement stores. We grow seasonal flowers, ornamental shrubs, and other special branded garden plants all year long. Baucom’s Nursery is proud to showcase these branded selections.